Fa Jin, an advanced yang style of Tai Chi, complements the physical, mental, and spiritual conditioning available through solo Tai Chi practice and the internal martial arts of Taoism. Fa Jin enables adepts to harness the energy of yin, yang, and the earth in the lower tan tien and discharge it as an extremely close-range yet explosively powerful blow in self-defense and partner practice as well as in healing techniques. Integrating the teachings of many Taoist masters, including Chang San-Feng, the creator of Tai Chi; Wang Tsung-Yueh, the legendary 19th-century master; Bruce Lee, the actor and martial artist who made the “one-inch punch” technique famous; and the Magus of Java, a living master able to discharge energy in the form of electric shocks, this book explores the history, philosophy, internal exercises, and physical practices of Fa Jin. Drawing on Iron Shirt Chi Kung and Tan Tien Chi Kung techniques, Master Mantak Chia and Andrew Jan reveal the secrets to collecting yin and yang in the lower tan tien and discharging the energy in a seemingly effortless yet explosive blow. Illustrating several routines of the Tai Chi partner practice of “Push Hands” (Tui Shou), they explain how to apply Fa Jin techniques by “listening” to your opponent’s intentions and countering the natural instinct to resist force with force through yielding softness and redirection. The authors also detail how to prepare for this advanced practice through stretching, meditation, breathing, relaxation, and energetic exercises. Warm-ups can be understood from two perspectives. The obvious first is the Eastern or Taoist one. The second is the Western or scientific perspective. In this chapter both aspects will be mentioned. By offering both we allow the Western reader to compare and contrast in order to better understand both perspectives. This chapter will finish with specific warm-ups that the authors believe are beneficial to practicing Fa Jin and the Discharge Form. From a Taoist perspective the warm-up must provide a transition from our everyday mind and bodily state to that which is conducive to the successful release of discharge power. Whenever one moves, the entire body must be light and lively, and must all be connected throughout. The Chi should be excited and the spirit should be gathered within. Let there be no hollows or projections; let there be no stops and starts. Its root is in the feet, its issuing from the legs, its control from the Yao and its shaping in the fingers. From the feet, to the legs, and then the Yao; there must be completely one Chi. Technical exercises have as their primary purpose the practice of a specific skill that is used in the martial art. From a physiological perspective, technical exercises create specific neuromuscular patterns that form the groundwork for discharge power. The secondary purpose is similar to warm-ups and opens channels and meridians that are often closed in the everyday mind state. This chapter explores technical exercises that cover four areas. First, there are the silk-reeling exercises that are yin exercises and cultivate all stages of the execution of Fa Jin, but especially the first four. The second section focuses on exercises utilizing the Eight Gates. This section will include visualizations suggested by Tan Meng-Hsien. 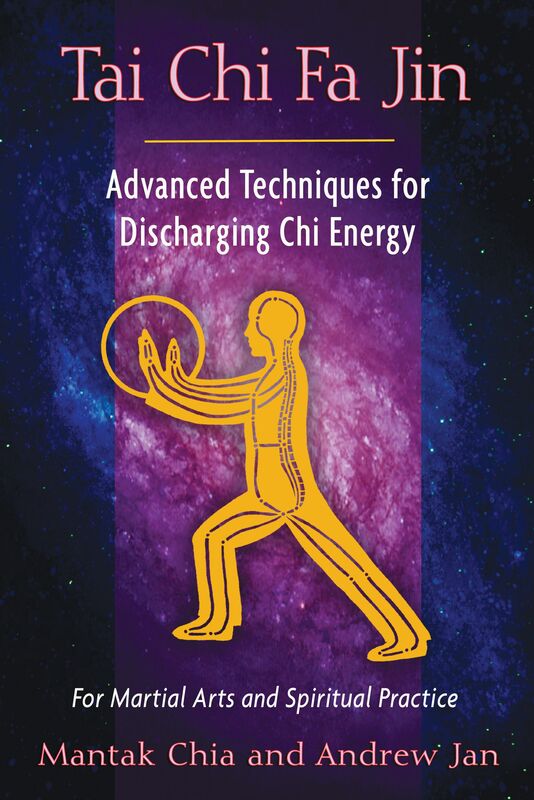 The third area is a summary and focused appreciation of Tan Tien Chi Kung and how these exercises promote “Discharge Power.” The fourth section explores some extra yang technical exercises that focus on real-time speed release of jin. Little is known about Tan Meng-Hsien, yet his writings have gained classic status. Tan offers explicit visualizations for the execution of the eight forces. In these technical exercises the eight forces are practiced in sequence and with a specific jin in mind. As opposed to practice or demonstration of the Discharge Form, during which the practitioner might not have the luxury of time necessary to allow the complex internal work that is required in order to release power from the tan tien, in the technical environment the adept can practice according to his or her own inner timing rather than an imposed time constraint. Multiple repetitions in a relaxed atmosphere allow the natural and spontaneous movement of chi and jin to occur. The eight stages of release with four yin and four yang stages are maintained. However, in the following technical exercises taught by Tan Meng-Hsien, varied visualizations are used to create a template for the Yi (integrated mind) to work with. Begin practicing Peng on the right side. The movement is like a boat moving while supported by the water beneath. When the tan tien feels as though it is naturally exploding it does so like the release of a loaded spring. The aim is to follow the release in a relaxed manner. Roll back and sink deeper into your structure and as per the Push Hands routine, keeping the kidneys full and spine straight. Become so empty that you feel as if you are floating in deep outer space. Lu in many respects represents the first (yin) half of the Fa Jin sequence. In itself it can be used to topple an opponent by using the opponent’s own force. Opponents may expect resistance and consequently uproot themselves when none is offered. This time you imagine the tan tien or the body to be connected to two different forces that are symbolized through the left and right arms. These two forces then create a reaction at the zenith of the movement that is like bouncing a coin off a drum. In the yang phase, visualize and feel like water, like a steady force in an outgoing tide--which fills every defect in the opponent’s structure without effort. Then, at the moment when the tide seems full--when there can be no more resistance and the opponent is on the verge of imbalance--release your power. In this technical exercise visualize setting yourself and the opponent into a lever position with a defined fulcrum. The wrist, elbow, and shoulder can be targets for pressure applied to engage a lock (chin na) and finished with discharge power to dislocate a joint or fracture a bone. In this situation the yin phase breaks the opponent’s structure by elongation, then in stages 5 to 7 the opponent is set up for the lever. Set up a lever like a balance scale such that only four ounces is required to break a thousand pounds. Next imagine the tan tien like a spiraling vortex. The fastest moving point is distant from the central eye. As an imaginary force entangles itself on the outside of this vortex, it is cast off a thousand times faster. According to Tan, the elbow’s power is visualized as coming from the five elements being absorbed from the six directions reducing to a unity that ultimately explodes via the elbow joint. Finally the back and shoulder set up a discharge of power as they use their weight against an imaginary force, much like Pounding a Pestle. Andrew Jan is a senior instructor for the Universal Healing Tao and former Australian National Tai Chi Champion. The coauthor with Master Chia of Tai Chi Fa Jin, he lives near Perth, Australia.